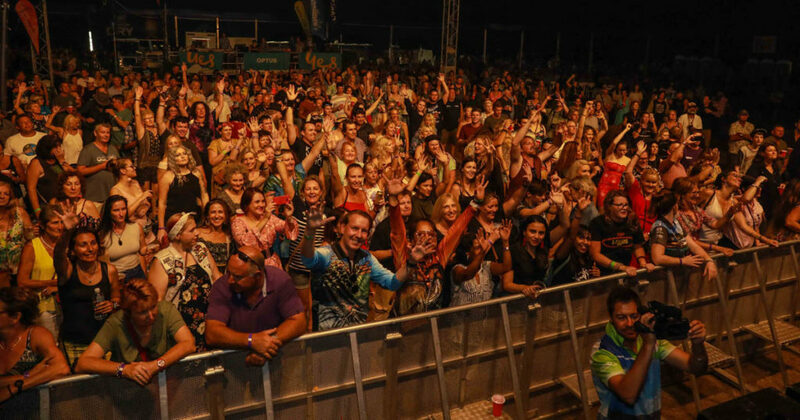 Could the Airlie Beach Festival of Music be the most popular event of its kind in the state? The answer is ‘yes’ – with your help. The festival has been nominated for ‘Festival of the Year’ in the 2019 Queensland Music Awards and is now officially a finalist in that category. Presented by Jack Daniels, the QMA People’s Choice Awards is a statewide poll allowing music lovers across Queensland to cast their votes. The Airlie Beach Festival of Music main stage is almost surrounded by the Coral Sea. Festival founder, Gavin Butlin, said he was thrilled the event had become a finalist and he encouraged everyone who had ever attended to spread the word and vote. 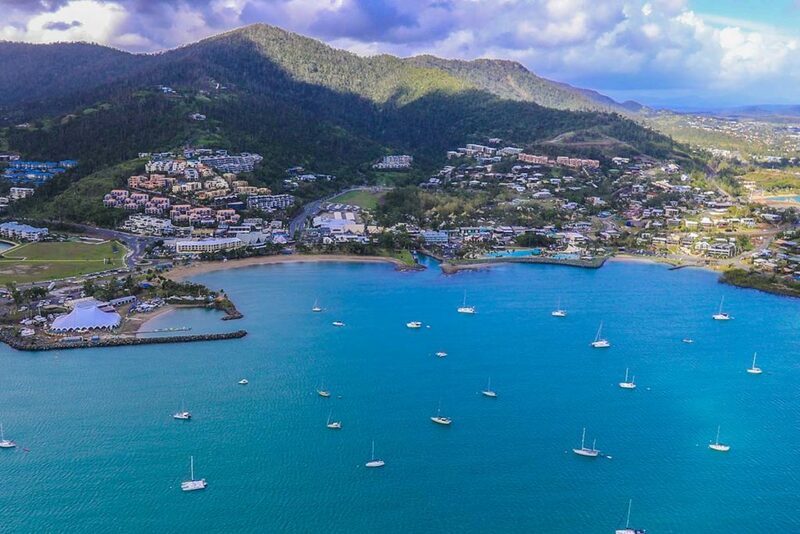 Where else but Airlie Beach can you see 74 bands beside 74 Whitsunday islands in the heart of the Great Barrier Reef? 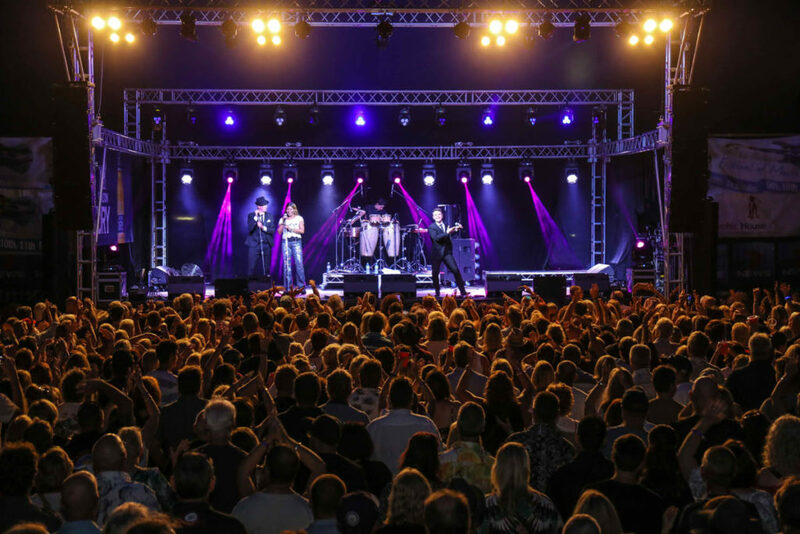 Marcia Hines was one of the headline acts at the 2018 Airlie Beach Festival of Music. Mr Butlin said this was also an event that brought an entire town to life, with the music spread throughout 18 venues mostly within walking distance across Airlie Beach. “It’s a party in a tropical paradise where the atmosphere is electric,” he said. Tourism Whitsundays chief executive officer, Tash Wheeler, said it was fantastic to see the Airlie Beach Festival of Music being recognised as one of Queensland’s premier music festivals. “Each year this event attracts a huge number of tourists visiting our beautiful region and soaking up the atmosphere that descends upon Airlie Beach over the festival weekend,” she said. Voting is open until midnight on February 28, at http://themusic.com.au/qmas and all entries go into a draw to win a double pass to BIGSOUND Festival. The winner will be announced at the Royal International Convention Centre in Brisbane on Tuesday, March 19, in an event featuring performances by Amy Shark, DZ Deathrays, Resin Dogs, Clea, Emma Beau and Tokyo Twilight.